The Flat Belly Diet focuses on MUFAs. If you have watched television, read magazines, or surfed the internet lately, you've probably heard of the MUFA diet and its magical ability to shed excess abdominal weight. So, what exactly is a MUFA and how can it help you lose weight? Prevention's Flat Belly Diet, which promises fat loss from the abdominal area, is largely responsible for the current interest in MUFAs. 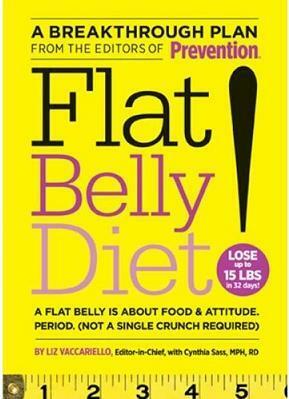 The Flat Belly Diet claims that followers can lose up to 15 pounds of abdominal fat in 32 days. And don't worry, the diet doesn't consist of just MUFAs. Although it is not yet entirely clear why a MUFA diet is effective at targeting belly fat, it does appear to work. According to a study appearing in the American Diabetes Association's journal, a diet rich in MUFAs is more effective than a high carb diet for reduction of belly fat. When Prevention magazine tested this theory, they had similar results. The bottom line is 1600 calories is a reduced calorie diet for many people. With a diet of reduced calories, healthy fats, lean protein, and vegetables, most people will lose weight. If you are going to diet, this is a healthy, balanced one to try. At the very least, try incorporating more MUFAs into your existing diet. You have nothing to lose... except, perhaps, some abdominal fat.